Magnolia’s Lynn Rippelmeyer tells how fate — in the form of some bad weather — allowed her and her mentor to make aviation history. Former commercial pilot Lynn Rippelmeyer in the cockpit of a 747. 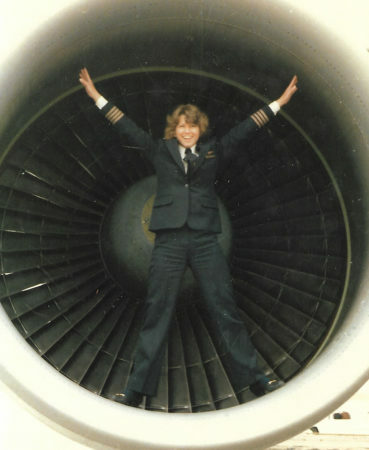 She was the first female pilot to fly a Boeing 747 and the first female to captain a 747 transatlantic flight. 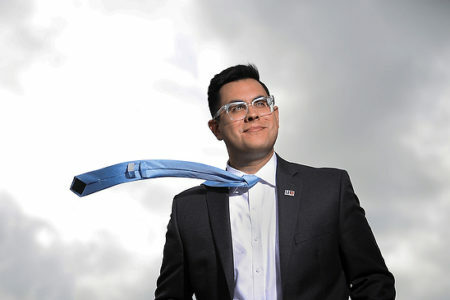 Women couldn’t fly a plane without a man present. 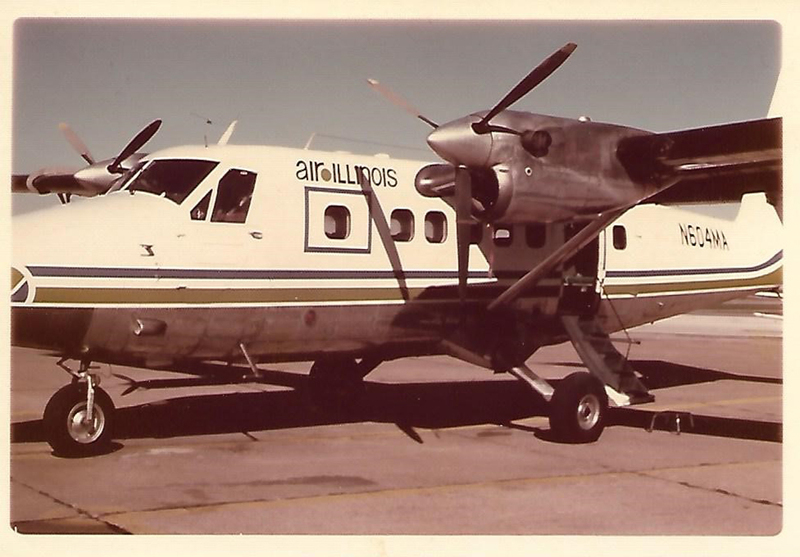 That was the rule at the small regional carrier Air Illinois in the late 1970s. 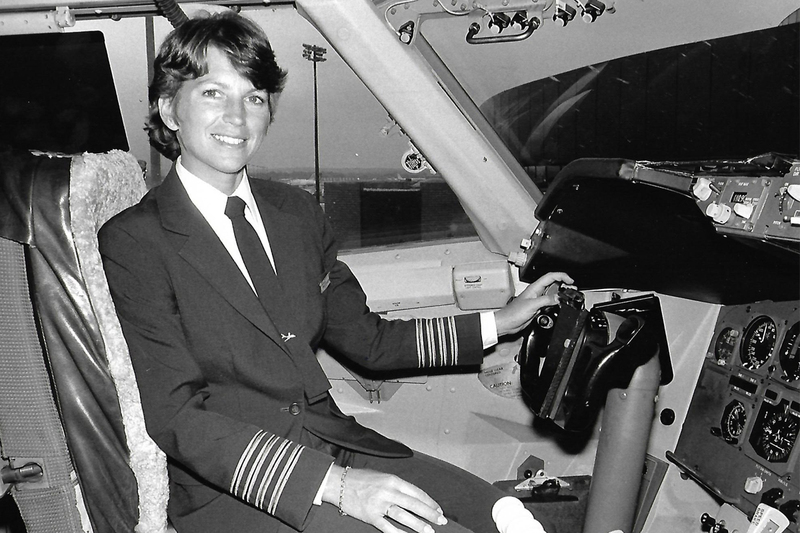 But fate in the form of some bad weather gave Lynn Rippelmeyer and Emilie Jones a chance to change things — and make aviation history. On Dec. 30, 1977, stormy weather prevented some crew members from getting to the airport. 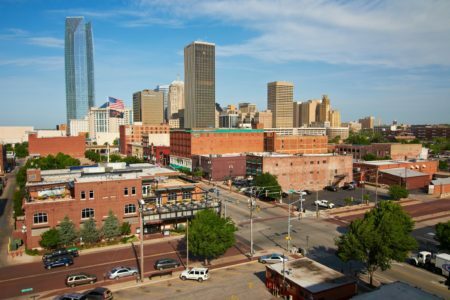 So Rippelmeyer and Jones were allowed to fly their turboprop commuter plane together through the rough weather for that day’s schedule of six flights — as long as they didn’t make any announcements and kept the cockpit door closed. That made them the first all-female crew for a scheduled airline. 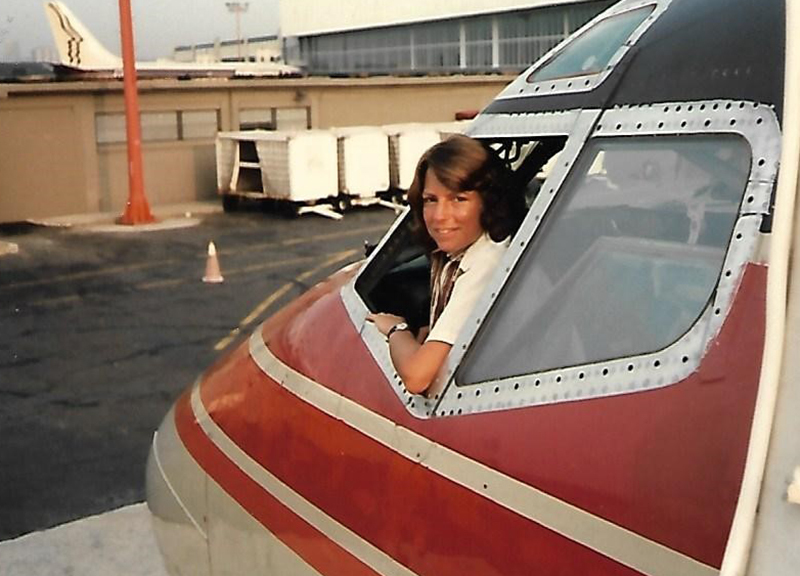 Lynn Rippelmeyer and Emilie Jones made history as an all-female crew in 1977 flying a turboprop aircraft like this one for Air Illinois. 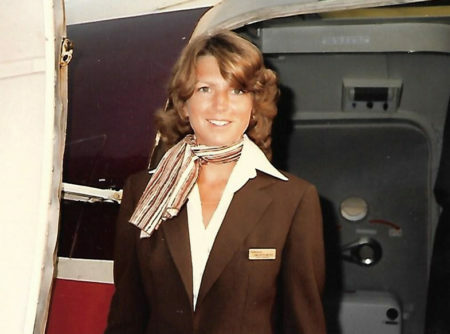 “But then after that — I guess since nobody died and nobody refused to get on the airplane — they let us fly together again,” Rippelmeyer said. In fact, the two flew together on a regular basis about a dozen more times until Rippelmeyer left to fly for TWA a year later. 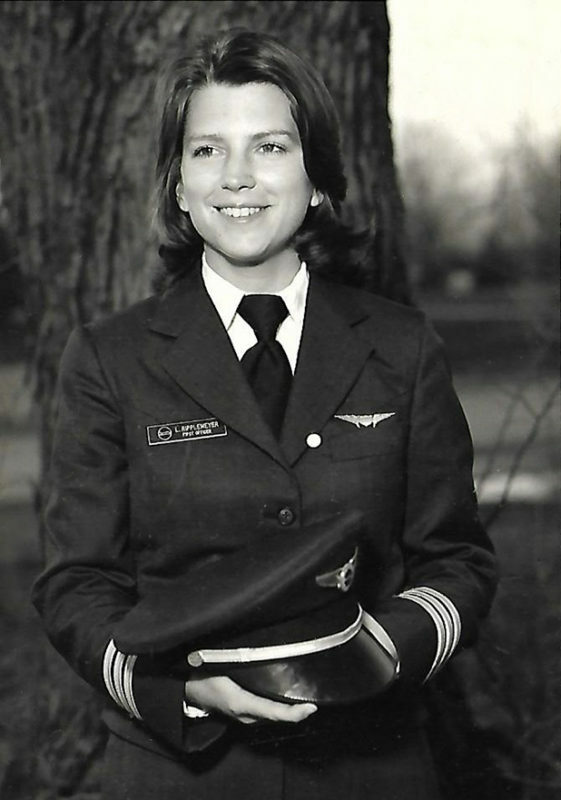 But she wasn’t done making history, becoming the first female pilot to fly a Boeing 747 and the first female to captain a 747 transatlantic flight. 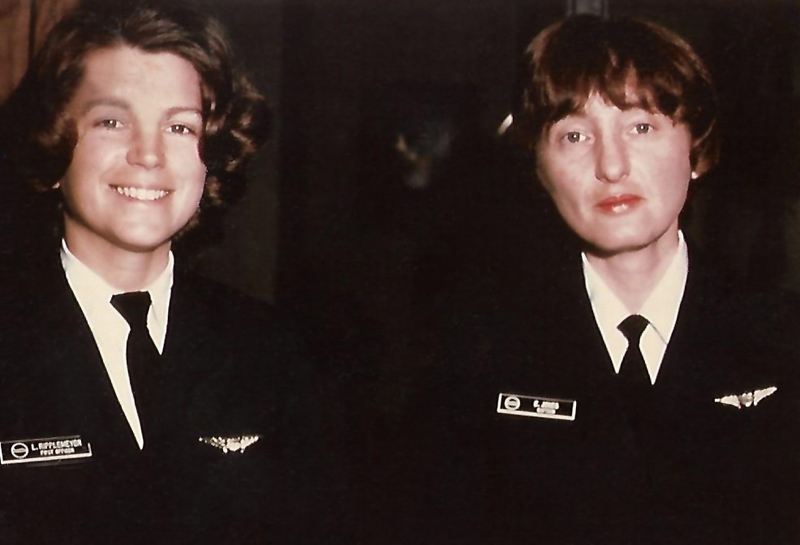 Pilots Lynn Rippelmeyer (left) and Emilie Jones made history as an all-female crew. Did they realize they were making history at the time? Over time, Rippelmeyer lost touch with Jones, whom she credits as a mentor, especially since Jones was a captain. This was a time when many of their male colleagues thought having a woman in charge was dangerous, especially since some men wouldn’t take orders from one. Former commercial pilot Lynn Rippelmeyer in the cockpit. 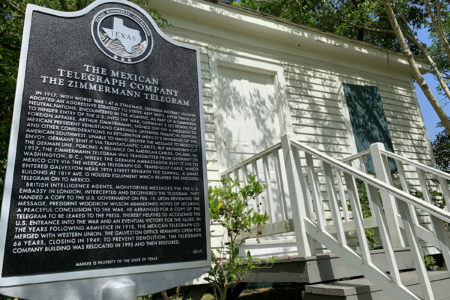 Eventually, Rippelmeyer — who now lives near Houston in Magnolia — learned about the PBS show We’ll Meet Again, which takes people who’ve participated together in something significant – and even historic – but who’ve lost touch over the years and seeks to reunite them. She told the producers her story and was selected for an episode focused on women’s equality. During filming, she traveled across the country to participate in the search for Jones, which wasn’t easy. When host Ann Curry interviewed her for the episode, Rippelmeyer expected Jones would be waiting for her at the end. But that didn’t happen. Instead, the show took her to a museum the next day where Jones was waiting to surprise her. 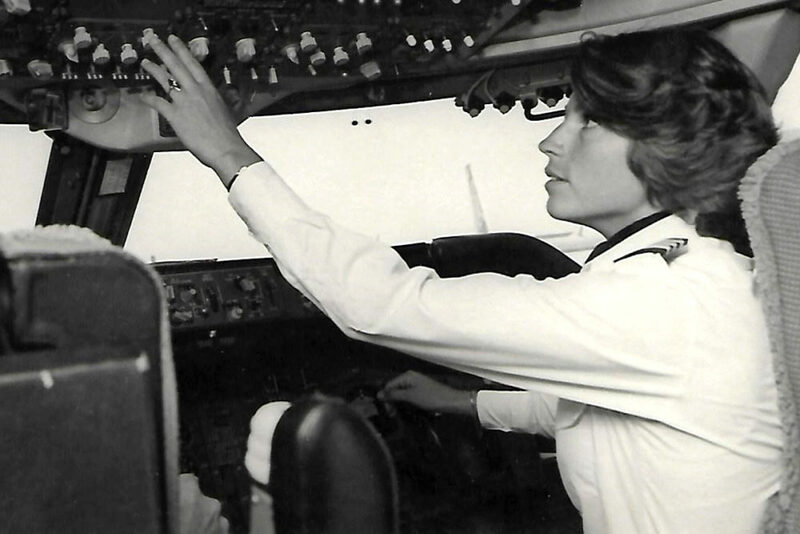 Ann Curry, host of the PBS show We’ll Meet Again, talks with former commercial pilot Lynn Rippelmeyer. 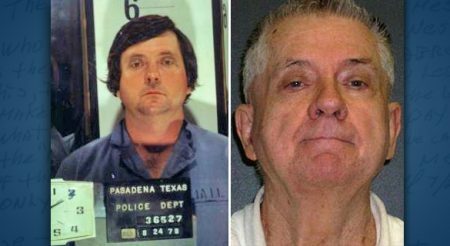 Rippelmeyer’s story is featured in the episode of We’ll Meet Again called The Fight for Women’s Rights, which is scheduled to air tonight (Jan. 8) at 8 on Houston Public Media, TV 8. However, Pres. Trump’s address to the nation will likely preempt some or all of the broadcast. Viewers can set their DVRs to record a rebroadcast early Thursday (Jan. 10) at 2:30 a.m. or watch portions of the episode online. 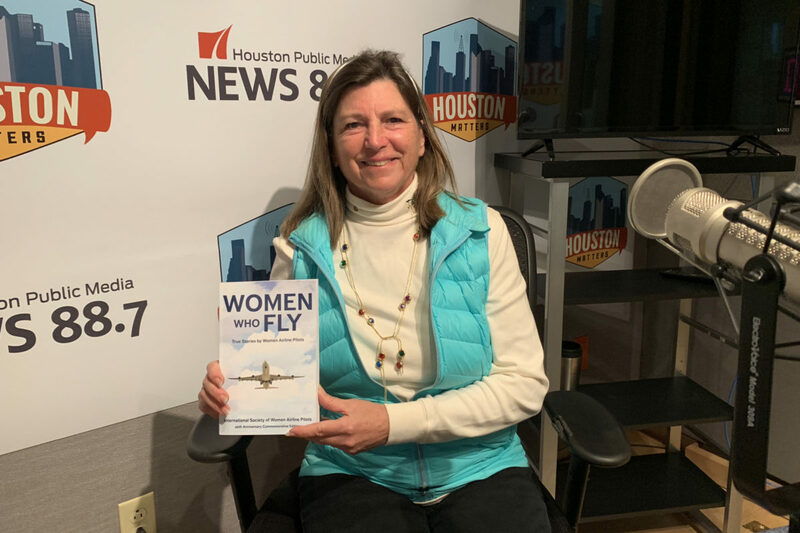 In the audio above, Rippelmeyer tells Houston Matters producer Michael Hagerty her story and how she went from flight attendant to pilot. Her story is included in the book Women Who Fly: True Stories by Women Airline Pilots from the International Society of Women Airline Pilots.